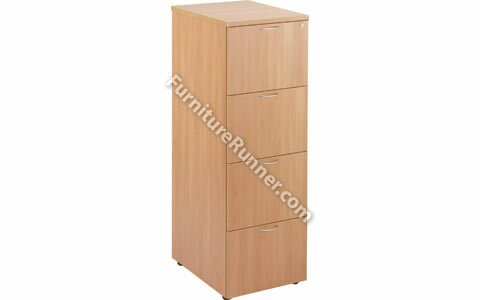 Jemini Filing Cabinet - Lockable anti-tilt filing cabinets. Loading capacity 25kg per drawer. Foolscap size for standard files. The 2 drawer filing cabinet is desk high and will fit neatly on the 600mm end of a radial desk.